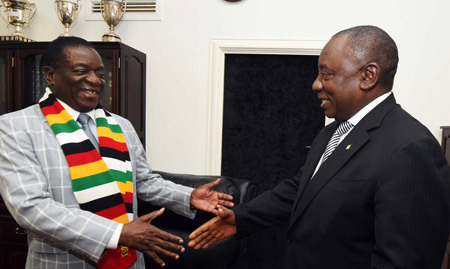 South Africa President Cyril Ramaphosa recently visited Zimbabwe and held official talks with President Emmerson Mnangagwa. The courtesy meeting provided a platform for two Heads of State to strengthen already existing strong political, economical and social ties between their countries and also to discuss important regional, continental and global issues of mutual interest. Both Presidents on different occassions visited Namibia and Angola and discussed issues that ranged from regional issues, including bilateral relations between the countries. 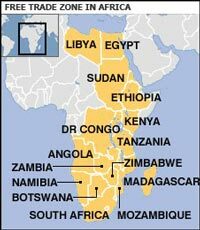 Ramaphosa became South Africa’s fifth president on 15 February, a day after Jacob Zuma was forced to resign by the ruling African National Congress (ANC), while Mnangagwa, took office on 24 November 2017 as president after the resignation of former President Robert Mugabe.